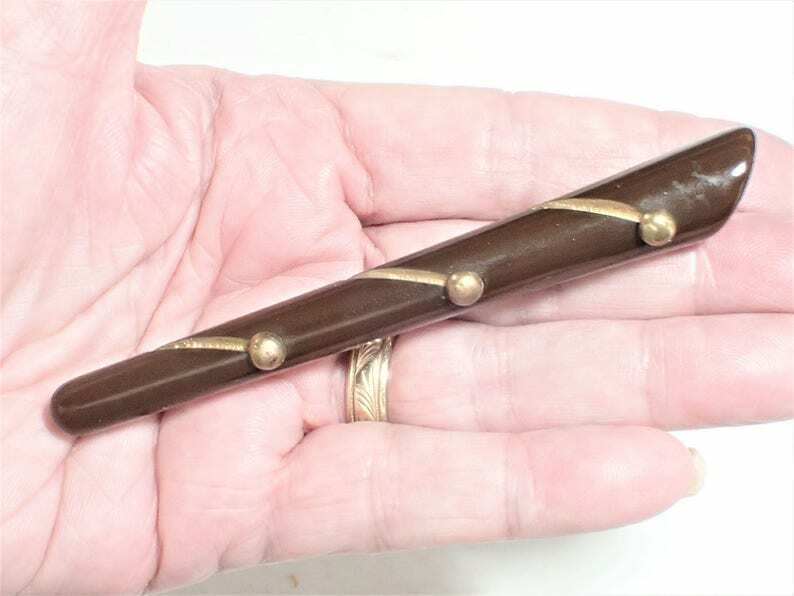 This unusual brown bakelite brooch has brass metal and studs wrapped over to top. It resembles a stylized clarinet, horn or some musical wind instrument. 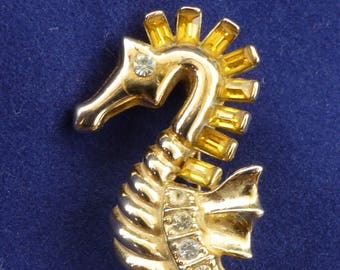 The brooch measures 4-1/6" long with a vintage C clasp closure. It is in very good condition with no chips or cracks to the bakelite but has minor wear to the brass metal accents.